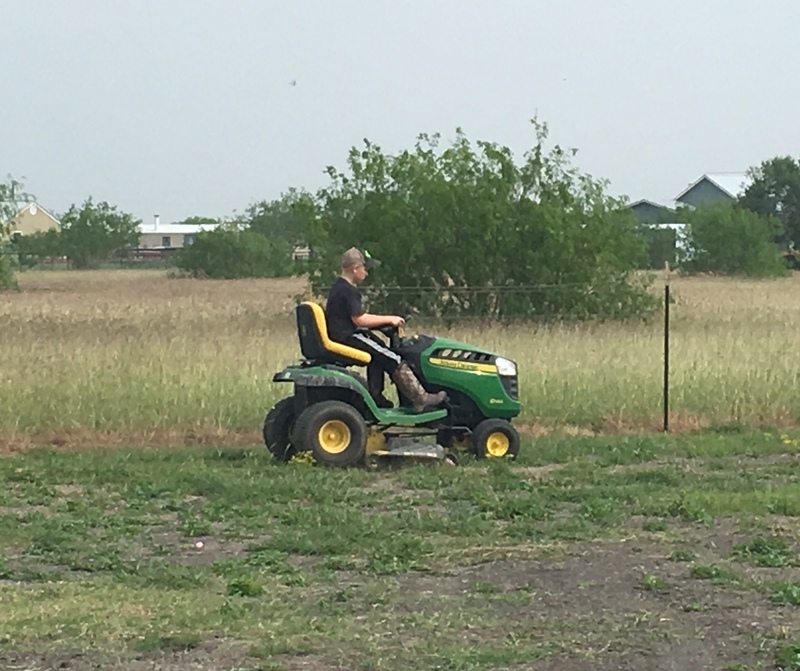 A new tractor meant we could actually take care of the grass and brush on the back portion of the property and around the pond. We decided to skip church Sunday morning (shame on us :)) to make sure we could spend a entire day mowing and shredding. And it was literally the entire day! I think Charlie and I put in a solid 11 hours and the kids helped for at least 9. They were such troopers and super helpful. It is so nice that they are at an age where they can really help lighten the load. There are many perks to being the size of a 12 year old when you are only 9!! He was a bit disappointed that his legs aren't quite long enough for the big tractor, but still enjoyed driving the riding lawn mower. We have several mesquite trees around the pond that are all over grown. He was determined to move this huge branch on his own. It was so heavy! Following after her big brother's example. The kids were super excited to climb the tree once it was cleared out. We are no where near finished. It is going to take months of clearing everything out, but we definitely made a small dent. PROGRESS! Chicken Update!!! We now have two chickens laying eggs. The third chicken sits in her box but hasn't done anything. I am not sure what her issue is, but there's hope! :) We also have two coyotes stalking our barn and chicken coop. I'll keep you posted!